Hi PlayStation.Blog, this is Paweł Lekki, co-founder of Exor Studios. I want to announce that our new game, The Riftbreaker, is coming to PS4. It’s a fresh combination of hack ’n’ slash gameplay, base building, and survival on an alien planet. The main character’s name is Captain Ashley S. Nowak. She is a Riftbreaker — her task is to travel through a one-way portal to a distant planet to establish a base that will support a two-way portal for further colonization. Ashley’s only friend in this distant world is her AI-controlled Mecha-Suit which she calls Mr. Riggs. Even though Ashley is a trained scientist, she is also a hot-tempered elite soldier. Although it might seem that the fighting is done with Mr. Riggs’ hands, he is usually the voice of reason in this duo. The game’s action takes place on Galatea 37, a distant planet in the Sycorax Belt of the Milky Way Galaxy. It is an uncharted planet full of unknown minerals, strange plants, and exotic creatures. Ashley will have to gather samples to research new technologies, buildings, and invention blueprints. New weapons, special items, and upgrades for Mr. Riggs can be crafted using various materials that are found across the planet. Some of these materials provide unique properties while others may increase durability, attack power or other characteristics. Galatea’s creatures won’t be happy with your interference in their environment. You can expect them to attack your base as you expand your activities. But don’t worry; you won’t have to fight all of them on your own. 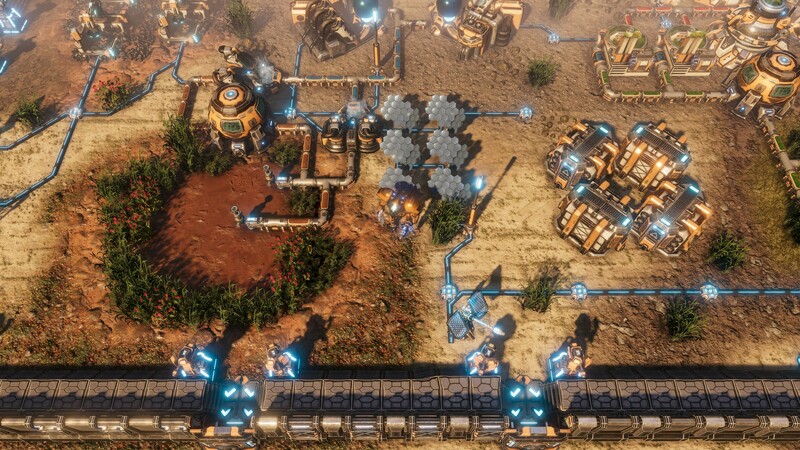 You’ll be able to construct defense towers, walls, and traps that will keep them off your perimeter. The Riftbreaker is our third game based on the Schmetterling engine. We’ve been building this technology for more than 10 years. We started creating it with our first independent game, Zombie Driver, and enhanced it further with the development of X-Morph: Defense. We’re now officially calling it the Schmetterling Engine 2.0. It is custom-tailored for the Riftbreaker and allows us to make the game that we really want to make without any compromise. We’ll have a lot more to share with you in the coming months so stay tuned!